Like many timber-framed workers' cottages built around the 1920s, this home required an extensive renovation on the rear. 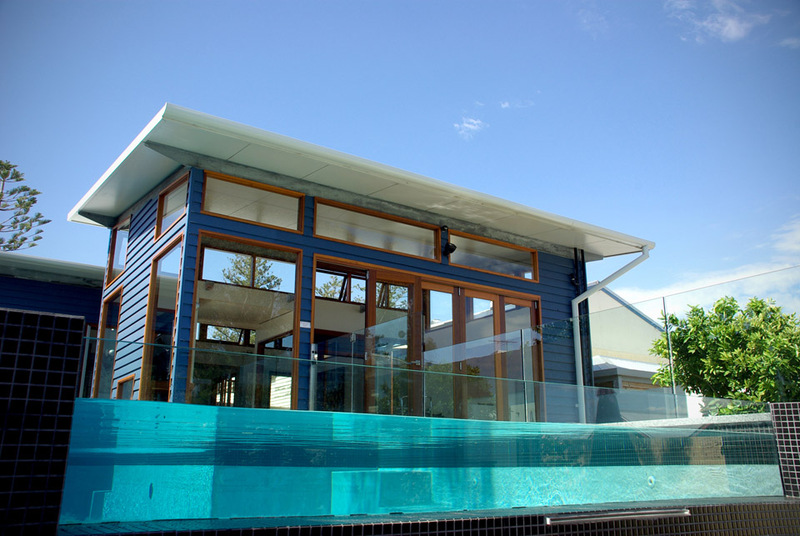 The clients, a young couple, requested a lap pool that had an interesting spatial relationship with the house. This was achieved by part of the pool, and a pond, separating the kitchen/dining from the lounge. The end effect was stunning. From the master bedroom, you can walk through the dressing room to a door allows you to dive straight into the deep end of the lap pool. The combination of blue weatherboard, clear finish timber doors & windows, limestone, and white-rendered brick allows you to feel like you’re living in a coastal vacation retreat. This sense of resort living is accentuated by the Cabana/Outdoor Kitchen at the bottom of the garden & the Norfolk Island Pines along the outside of the property.